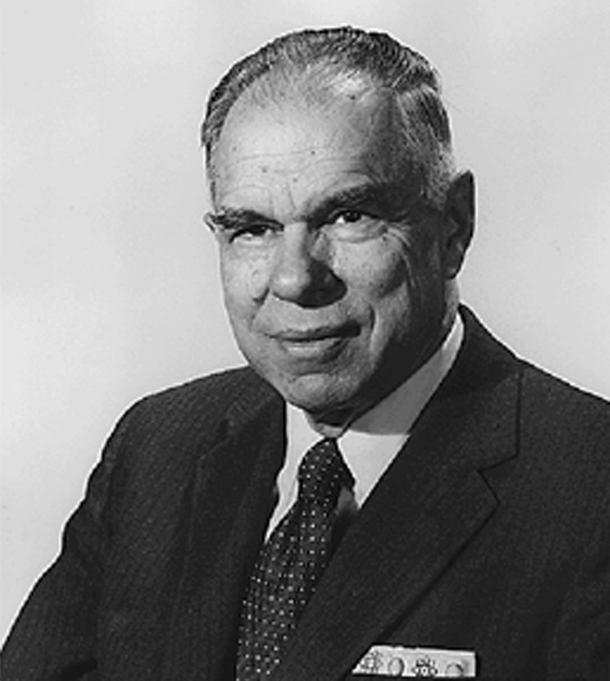 Glenn Seaborg, who won the Nobel Prize for Chemistry in 1951, was the scientist whose discovery of plutonium made the Manhattan project possible. He was also a public servant who fought for excellence in science education. In the Depression year of 1933, as an impoverished Watts resident, Seaborg was struggling to work his way through UCLA when, through the good graces of his German teacher, he had an unlikely meeting with Albert Einstein. Is there is a point in an aspiring young scientist's life, some critical imprinting period, when genius is contagious? Perhaps so, because Seaborg went on to prodigious accomplishments, including the discovery of ten new elements--one of them was the eponymous seaborgium. He and his colleagues did not isolate these new elements but actually created them in the laboratory through nuclear bombardment, though most do occur naturally in small amounts. Seaborg literally redrew the Periodic Table with his invention of the actinide concept, placing elements 89 through 103 beneath the lanthanide series. He was instrumental in the isolation of over 100 different isotopes, including I131, the therapeutic use of which extended the life of his own mother and many others. Seaborg capped his scientific career in 1980 by transmuting several thousand atoms of bismuth into gold, thus uniting nuclear physics with the ancient field of alchemy. It was Einstein's famous equation, E= mc2, of course, that predicted the convertibility of mass to energy. But it was Seaborg's later discovery of plutonium that allowed the ultimate demonstration of this simple equation, the atom bomb. During the Manhattan Project, Seaborg was head of the group tasked with mass producing plutonium, an element then so rare that it didn't exist in quantities sufficient to be visible. At one point, a laboratory accident allowed one quarter of the world's supply of plutonium to soak into the Sunday Tribune. The "Seaborg Report," issued in 1960, became the basis for successful government and university cooperation in education and research, a task made urgent after the Soviet launch of Sputnik. In the famous "Nation at Risk" report from Reagan's Excellence in Education commission, Seaborg decried the later decline in scientific education as "an act of unthinking, unilateral educational disarmament...\" Sadly, these prophetic words have been ignored.